Once upon a time, Google put desktop first. Google’s index was determined by the desktop usage of websites. This is no longer the case. Today Google’s index follows a mobile-first approach. Even if a user is searching on a desktop site the index will rank results based solely on the mobile version of the webpage. Go Responsive. Your website will be most Mobile friendly if it is responsive. 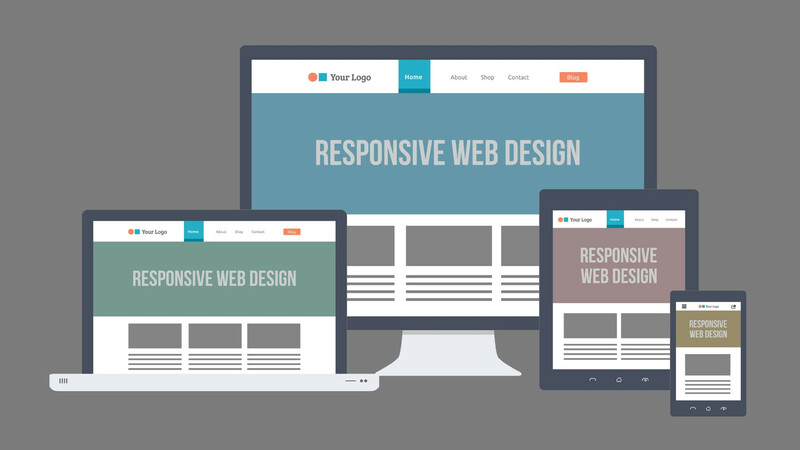 A responsive website will adjust your websites design/layout depending on the device it’s being called from. Web pages can use the same URL for all devices, and responsive sites are user-friendly. These are all factors that affect your Mobile SEO. Choose a big, clear font. Size matters. Don’t overwhelm users with words. Keep paragraphs short and sweet. Use contrasting colours, for your background and text. Keep it simple. Use buttons. Make sure to have buttons linking to your social media profiles at the bottom of the mobile webpage. We offer social media campaigns – click here to find out more. Tip 5: Sizing content to viewpoints. These Google recommendations walk you through how to set up the meta viewport tag. It will be set up so whatever browser or devices users use to access your site, the viewport will mean they’ll never be trying to scroll sideways, only up and down. Your HTML structure will be improved by the meta viewport. This means whether a user views your site from a mobile, tablet or desktop, the site’s features are scaled to fit the size of the screen. This is a major for UX and contributes to dwell time which is measured in Rank factor. Often people searching from their smartphone are looking to complete an action. Whether that be making a call to the local fish & chip shop to order or finding the address of your business. This is when it’s crucial to display well in local results so customers are drawn to your business. Register with Google My Business. Target keywords specific to your location remember it’s important to target the appropriate keywords for your location; consider checking their search volumes on Google (KP) for your specific area, in addition to having the “mobile” filter applied. Include the current Name, Address and Phone number for your business. Remember to keep this updated and consistent. Specifying the type of business you run is also beneficial. You want to show up in results when people search for “your business” + “your location”. Eg; “life pharmacy” + “Auckland”. Having a call to action = either “click-to-call”, “maps” or “abilities to make reservations are especially important for increasing the conversion rate in local SEO. Have you encountered those dreadful, mini desktop sites when you search on your mobile device…? To be honest, these days it’s hard to come across such sites. You do not want to be one of them. Search engines and potential customers won’t be impressed. For a more in-depth guide on all things responsive, we recommend the Google developer guide. By integrating the above list into an SEO strategy you’ll be making sure that your mobile website gets the visibility and traffic it deserves.